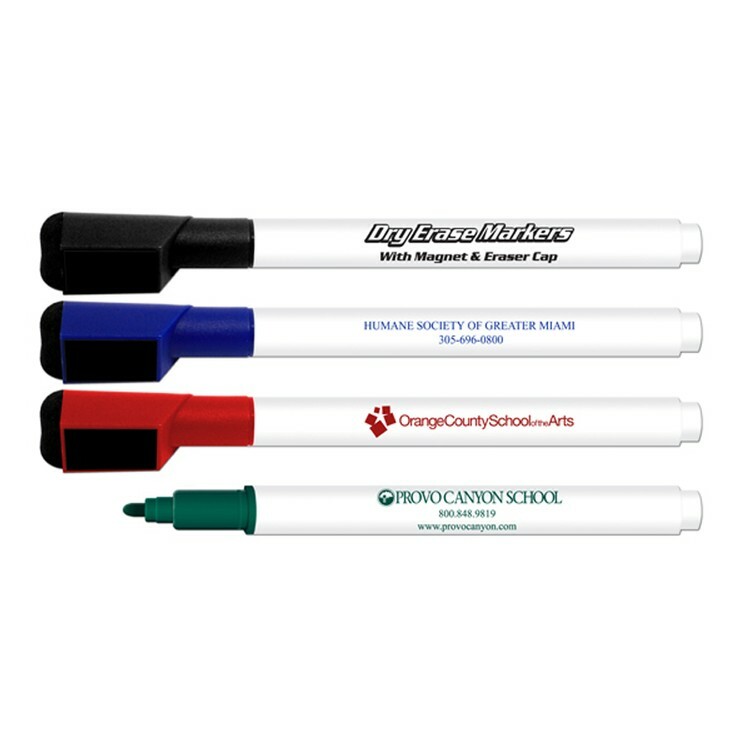 Full size dry eraser marker with eraser and magnet cap. White barrel 5 11/16" long. Non toxic. Color Selection: Black, Red, Blue and Green. Color of cap matches ink color. White barrels.